After years of being conditioned by Gordon Ramsay's profanity-laden rants that fresh is always better than frozen, it comes as a bit of a shock that a reality TV chef's wisdom about food doesn't hold true when it comes to assisted reproductive technology. Anyway, according to a new study regarding IVF treatments, frozen embryos are more likely to result in healthier pregnancies and healthier babies, than fresh embryos. The research—conducted at Aberdeen University and published in the Fertility Sterility journal—evaluated 37,000 implantation pregnancies and found that when frozen embryos were used there was a "30 per cent lower risk of bleeding during pregnancy, 30 to 40 per cent less chance of the baby being born underweight, 20 per cent smaller risk of it being born preterm and 20 per cent less likelihood of it dying shortly after birth," compared to pregnancies resulting from fresh embryos. Researchers had a few theories as to why frozen embryos garner better results, the first having to do with the toll that the fertility treatment takes on a woman's body. 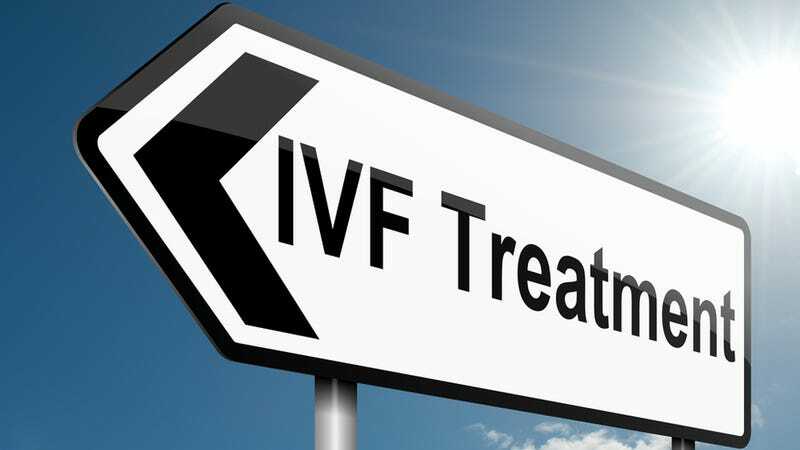 When fresh embryos are implanted shortly after harvesting the eggs, a woman's lining may not have fully recovered from the invasive procedure. And the drugs used to stimulate egg production could still be circulating in her body, which could be harmful to the pregnancy.